Boojum! in concert : nonsense, truth and Lewis Carroll / music by Martin Wesley-Smith ; lyrics by Peter Wesley-Smith. Instrumentation: 2 sopranos, tenor, bass, 5 high voices, medium voice, low voice, choir, piano. Commission note: Commissioned by Adelaide Festival with funds provided by Australia Council. Literature Board, Australia Council. Music Board. Kit: Boojum! : music resource kit for secondary schools / devised by Kim Waldock. 21 Feb 15: Music Workshop, Sydney Conservatorium of Music, NSW. Featuring Karen Cummings, Robert Constable. 21 Feb 2015: at A concert to honour Martin Wesley-Smith (Music Workshop, Sydney Conservatorium of Music). Featuring Robert Constable, Karen Cummings. 19 Dec 2010: at Boojum! (Storefront Theater). Featuring Chicago Opera Vanguard, Caffeine Theatre. 16 Dec 2010: at Boojum! (Storefront Theater). Featuring Caffeine Theatre, Chicago Opera Vanguard. 12 Dec 2010: at Boojum! (Storefront Theater). Featuring Caffeine Theatre, Chicago Opera Vanguard. 9 Dec 2010: at Boojum! (Storefront Theater). Featuring Chicago Opera Vanguard, Caffeine Theatre. 5 Dec 2010: at Boojum! (Storefront Theater). Featuring Caffeine Theatre, Chicago Opera Vanguard. 2 Dec 2010: at Boojum! (Storefront Theater). Featuring Caffeine Theatre, Chicago Opera Vanguard. 28 Nov 2010: at Boojum! (Storefront Theater). Featuring Caffeine Theatre, Chicago Opera Vanguard. 27 Nov 2010: at Boojum! (Storefront Theater). Featuring Chicago Opera Vanguard, Caffeine Theatre. 26 Nov 2010: at Boojum! (Storefront Theater). Featuring Chicago Opera Vanguard, Caffeine Theatre. 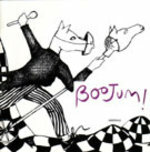 21 Nov 2010: at Boojum! (Storefront Theater). Featuring Chicago Opera Vanguard, Caffeine Theatre. 16 Nov 2010: at Boojum! (Storefront Theater). Featuring Caffeine Theatre, Chicago Opera Vanguard. 1986: Adelaide Festival of the Arts. Featuring State Opera of South Australia.